Here's the Giveaway you've all been waiting for !!! 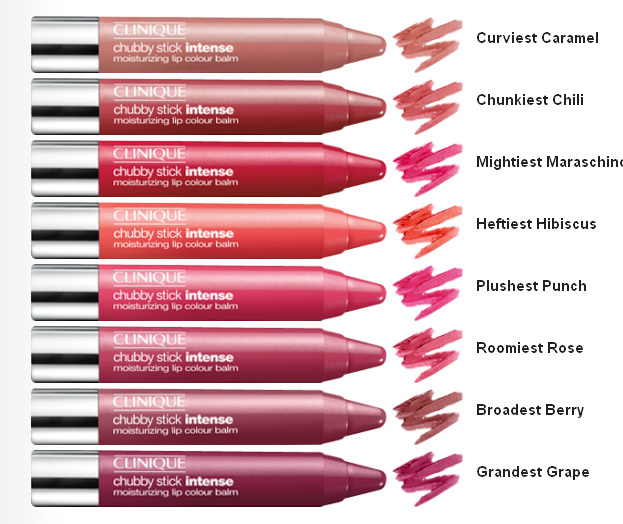 The new Clinique Chubby Stick Intense colors are available in stores today. 4/ write to fashionwise@hotmail.be and tell me which color you would like to win & why ? You have until the 3th of March - midnight to compete. The winners will get a personal e-mail from me on monday the 4th. I will invite the winners to my studio and they will also get personal a make up lesson on how to use the Chubby Stick Intense that they have won! You have the opportunity to take a picture after the personal lesson of you with your Chubby Stick Intense which you can upload on the Clinique FB page.